Turkey's total expenditure on education soared 9.8 percent to $48.3 billion in 2017 year-on-year, Turkish Statistical Institute (TurkStat) said Wednesday. The expenditure on education as a percentage of gross domestic product (GDP) dropped to 5.7 percent in 2017 from 6.2 percent in 2016, according to the data. In 2017, 74.5 percent of expenditure was public while households accounted for the remaining 19 percent. Tertiary education accounted for 31 percent ($10.3 billion) of the total education expenditure of public institutions, while 26 percent ($8.7 billion) was for upper secondary education. Meanwhile, private institutions allocated 45.3 percent ($4.4 billion) of total spendings for upper secondary education and 27.1 percent ($2.66 billion) for tertiary education. Upper secondary education showed the highest increase in education expenditures with 20.6 percent. The education expenditure per student in the country reached $2,220, rising 8.2 percent versus the previous year. The highest level of expenditure per student in 2017 was for tertiary education with $3,736. 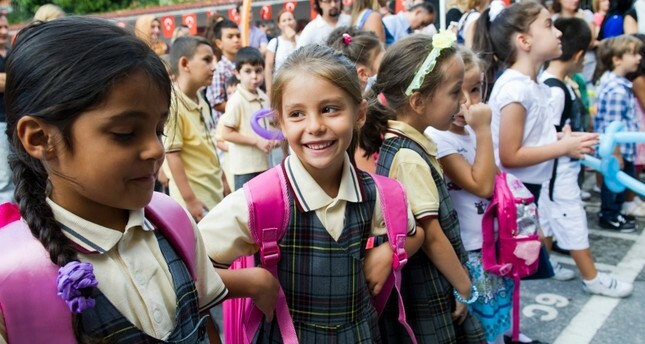 Around 140 million schoolbooks were delivered free of charge in September 2018 alone in Turkey, where children receive 12 years of elementary education for free. Public universities also serve with no tuition fees — except evening education — in the country.